When it comes to roofing, there are many options available. Among these options includes asphalt shingles. Asphalt shingles happen to be one of the most popular roofing options. They offer several benefits which include easy installation, affordability, versatility, and stylish good looks. Furthermore, asphalt shingles don’t require any specialized accessories for the roof edges, wall terminations, and chimney or vent flashings. Asphalt shingles traditionally come in 3-tab profiles. However, you will now see newer homes that have steeper roof pitches coming in laminate shingle profiles. A wide range of “architectural” shingles are available, whose profiles suggest the random shadows and patterns of slate, wood shingles, or ceramic tile. Furthermore, you should know that there are also two kinds of asphalt shingles on the market which include fiberglass shingles and organic-mat shingles. Both types are made with asphalt. Proper care and maintenance of a roof is essential to ensure its longevity. Care of a roof includes removal of dirt, debris and snow from its surface from time to time. A careful inspection of the roof is warranted periodically and an internal inspection of the wall and the attic close to the roof is required more frequently. Besides personal inspection by the Turner Valley homeowner, it is also advised to consult a professional Turner Valley roofing contractor from time to time in case the occurrences of a leak and such symptoms are reported frequently. Your roof is a crucial component of your business. In addition to looking good, it provides energy-saving insulation and keeps out bad weather, which protects your valuable equipment and files. Turner Valley Commercial Roofing is a full service commercial roofing company that has been serving the Turner Valley area for decades. Our professional Turner Valley Commercial roof installation experts are highly experienced, courteous and efficient, and our roofing materials are of the highest quality. We offer a high level of roofing expertise and professional services that will replace the roof of your home in no time. The roofing on a home has the potential to add to its beauty as well as value. 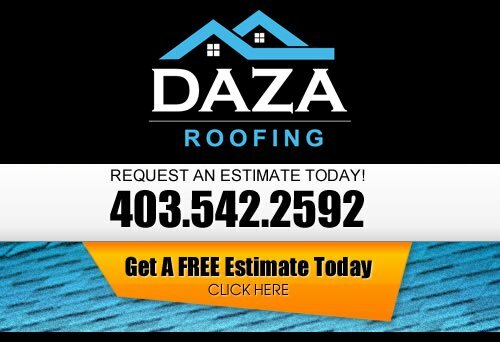 From start to finish, the roof replacement roofers of Daza Roofing work with the homeowner every step of the way. Our goal to ensure that the roof replacement project is completed just the way you expect it. At Daza Roofing, our Roofing Contractor wants to be your Turner Valley Roofer. If you are looking for a professional Turner Valley roofing company, then please call us today at 403-542-2592 or complete our online request form for a free estimate.